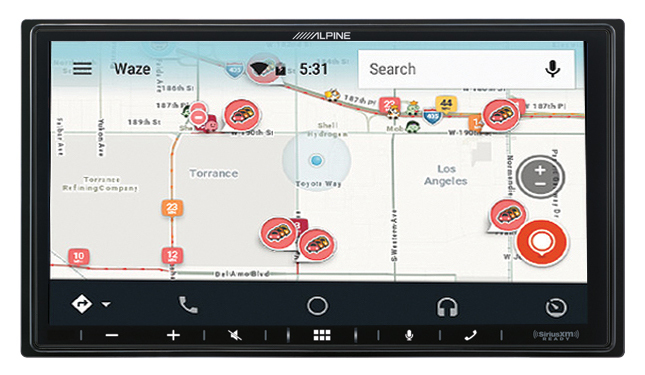 The new swipe control interface is designed for easy use, so you can keep your eyes on the road. A two-finger swipe motion moving up, down, left, or right will control volume up or down and track skip forward or back. The two-finger swipe can be done anywhere on the touch screen, so you don’t need to swipe on a specific location. The iLX-W650 “Works with Apple CarPlay” and lets iPhone users make and receive calls, access text messages, play music, and get directions in a way that allows them to stay focused on the road. 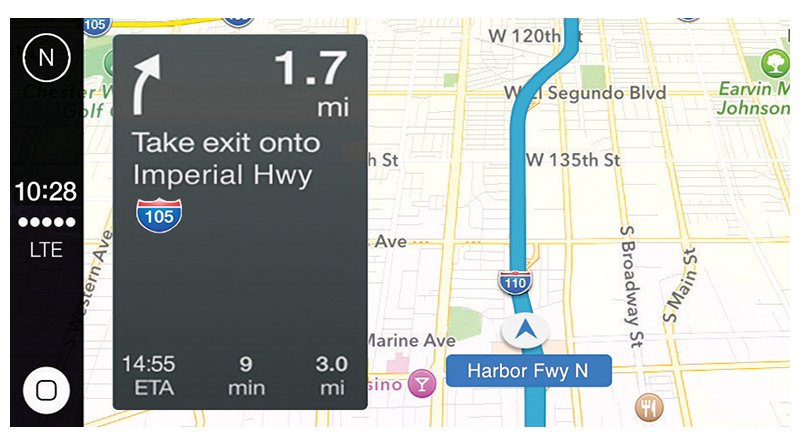 Apple CarPlay is accessed through the capacitive touch screen or the mic button to activate Siri voice control and is compatible with iPhone 5 and later (iPhone must be connected via Apple lightning cable). 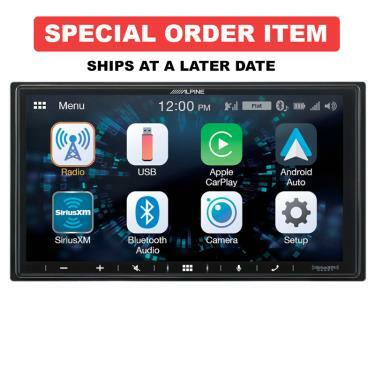 The iLX-W650 includes Android Auto and works with the Google Assistant (requires both a USB cable and Bluetooth® connection; requires an Android™ phone running 5.0 [Lollipop] or higher and the Android Auto app). To access the Google Assistant on Android Auto, say "OK Google" or select the mic button. 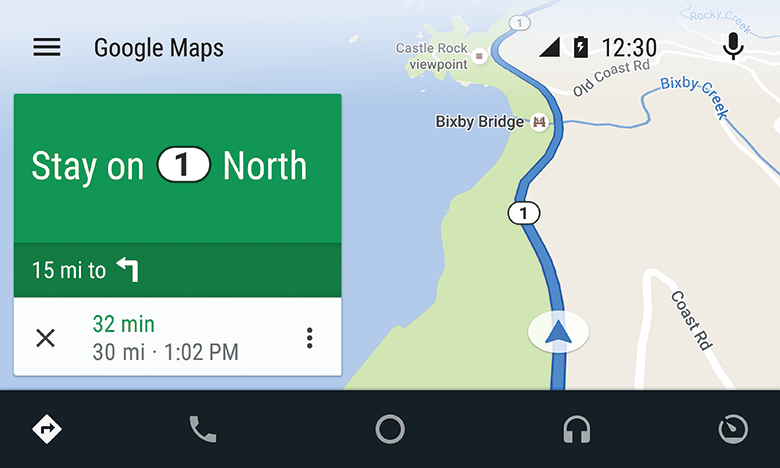 Google Assistant in Android Auto allows users to play their favorite music, get driving directions to their destination, interact with smart home devices and reply to text messages – hands free. 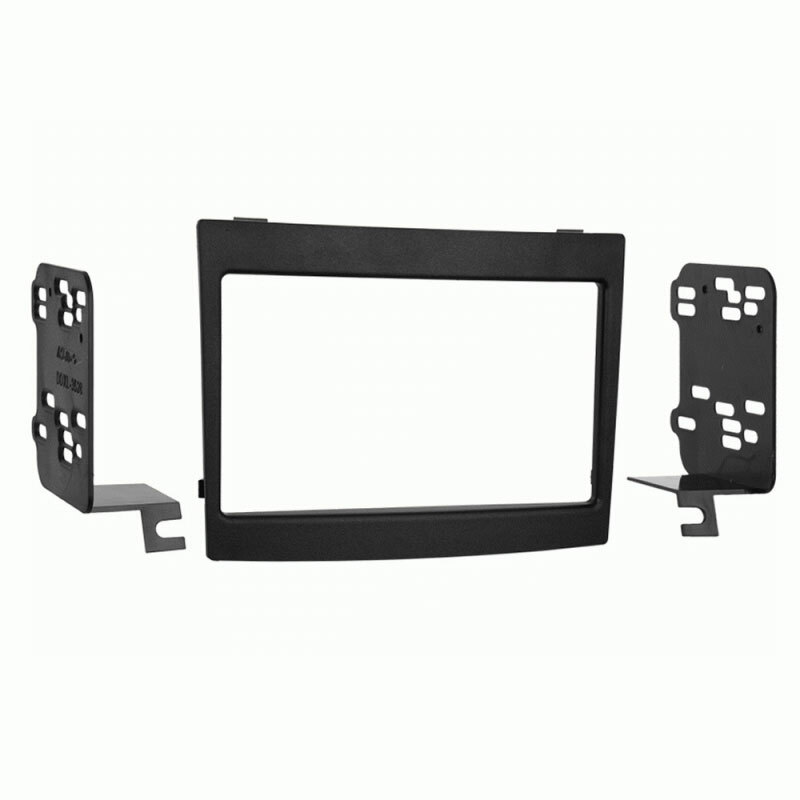 The iLX-W650's shallow chassis is only 2.4" deep, so it fits into vehicles that don't have a lot of depth behind the dashboard. 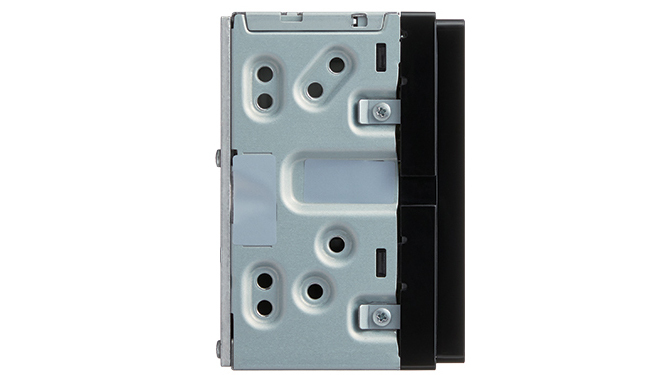 This shallow design makes the iLX-W650 a perfect complement with the KTA-450 Power Pack Amplifier (sold separately). The amplifier measures just 7"W x 3.5" H x 1.25" D and fits in the open space behind the iLX-W650 using the included bracket, creating the PowerStack design. 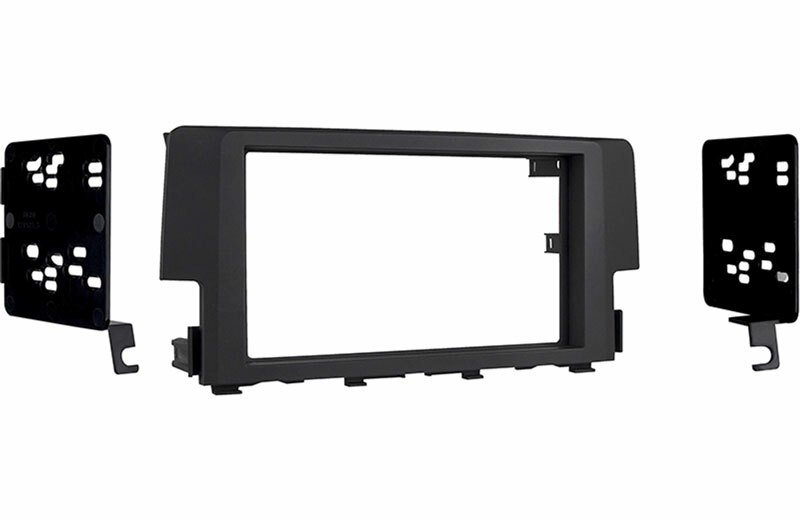 The total combined depth of the iLX-W650, KTA-450, and mounting bracket is still less than the depth of a standard 2-DIN chassis. The KTA-450 features Alpine's exclusive amplifier technology, Dynamic Peak Power (DPP), which produces 400-watts DPP without the bulk and hassle of a traditional amplifier. Upgrade your sound experience and expand your entertainment choices by adding SiriusXM satellite radio to your ILX-W650. The iLX-W650 is SiriusXM-Ready™ and connects to the SiriusXM SXV300. 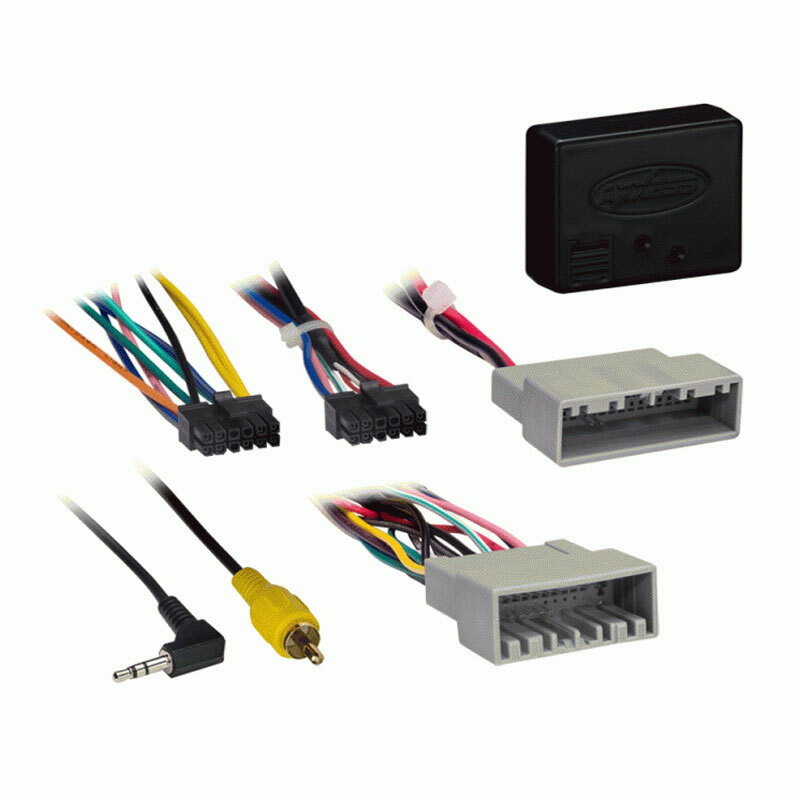 Connect Vehicle Tuner Kit (sold separately,subscription required). 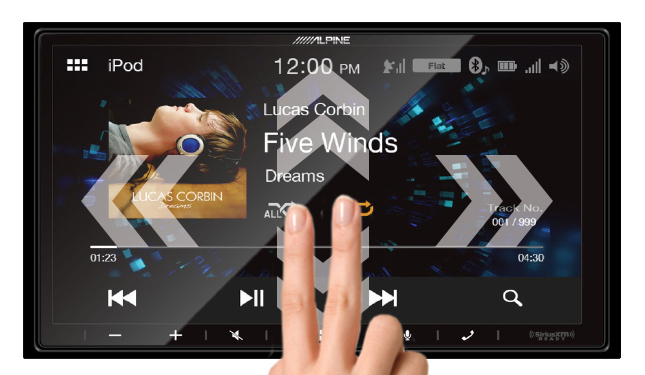 SiriusXM features include: album art; display of channel logos; pause, rewind and replay up to 60 minutes of content while listening to satellite radio; start songs from the beginning when tuned to any favorite music channel using TuneStart™; scan and select songs on favoritemusic channels with TuneScan™. 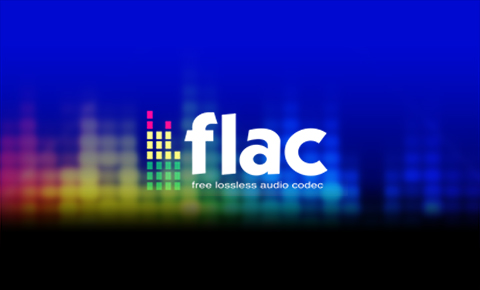 the iLX-W650 can play back 24/96 FLAC files via USB. 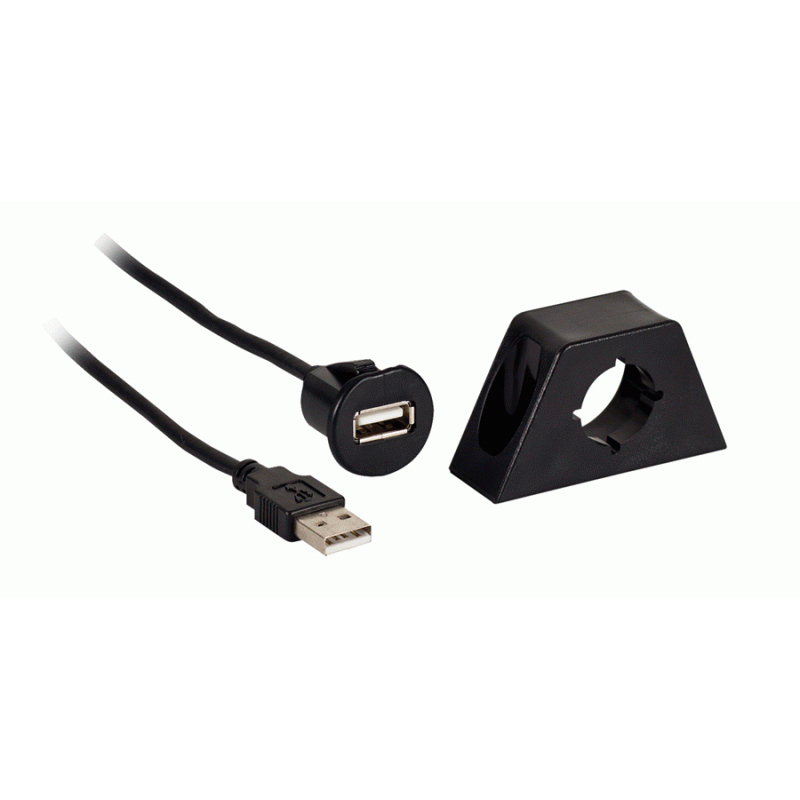 Other supported formats include MP3/WMA/AAC/HE-AAC music playback via USB. 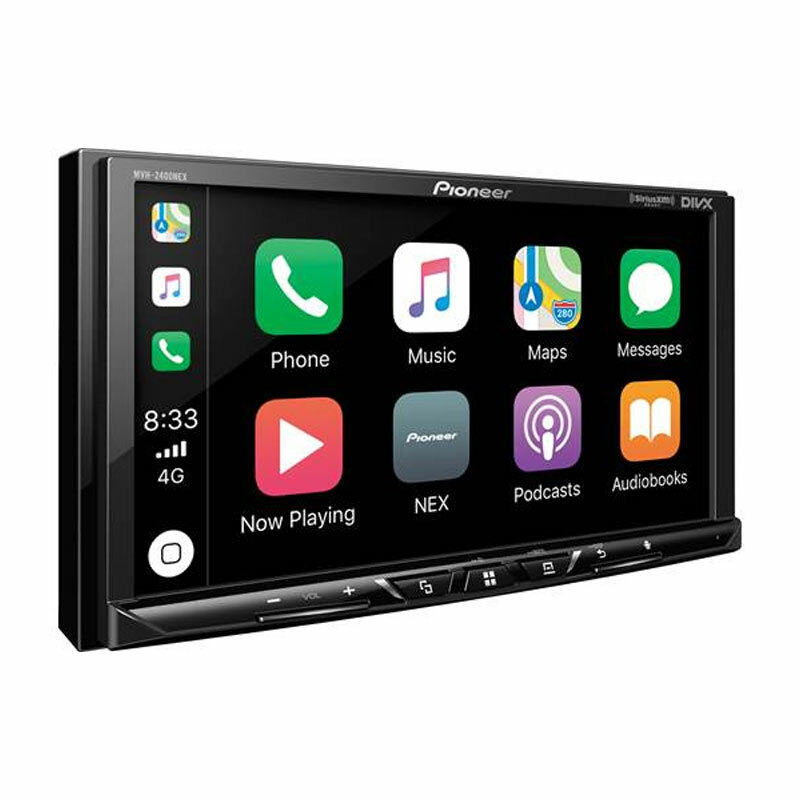 It's convenient to control your iPod or iPhone in the car - enjoy seamless operation of your iPod in addition to full control of all your favorite media sources. Control all search options of your iPod directly from the iLX-W650 via Playlist, Artist, Album, Song, Genre, Podcast, or Composer. The USB Connection allows for high-quality iPod/iPhone playback and delivers an even faster access speed so you'll find songs as quickly as you expect to find them on your iPod / iPhone. 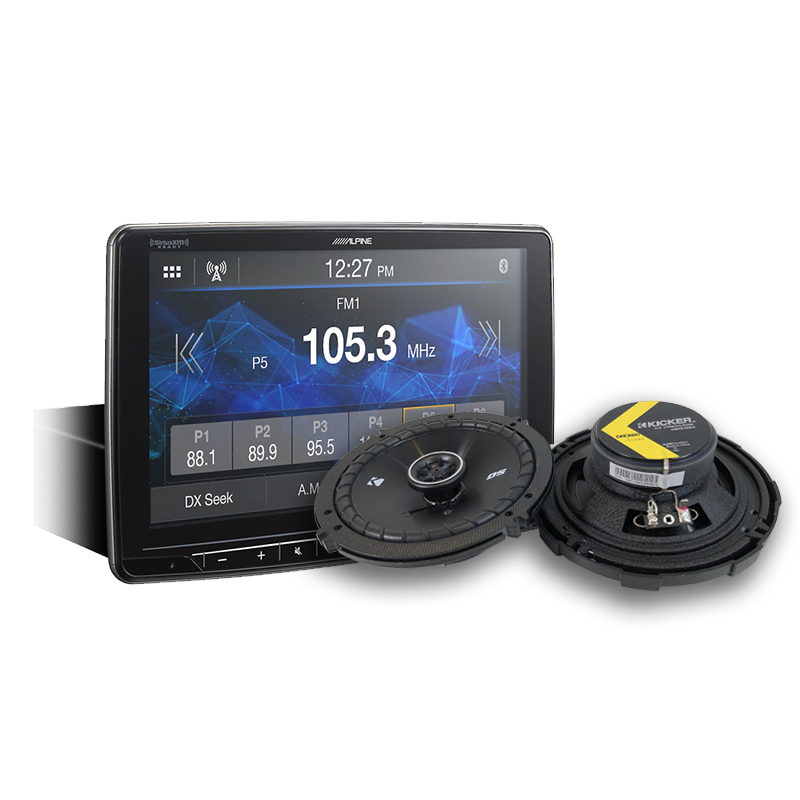 The iLX-W650 has a simple swipe interface with an ultra-shallow chassis that can mount to the KTA-450 Power Pack Amplifier, creating Alpine’s award-winning PowerStack application.